When war began the British Army was a small, professional force totalling about 247,000 men which included infantry, cavalry, artillery and support units. Almost half of them were stationed in garrisons spread across the Empire. In addition there were Territorials who were part-time volunteers recruited for home service. 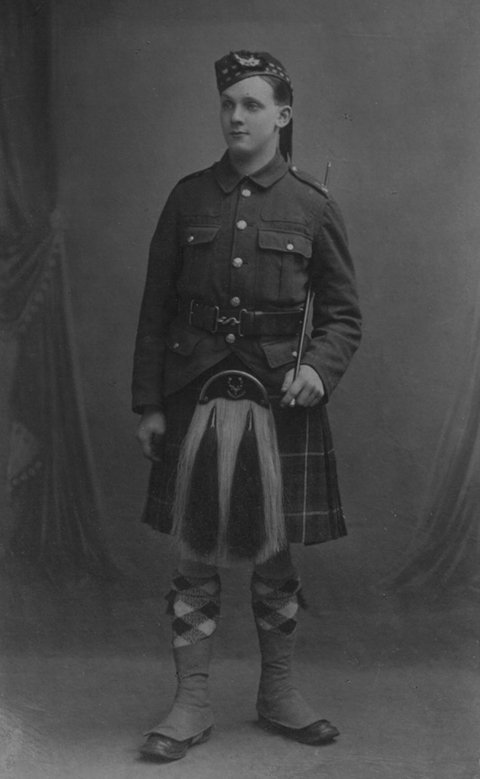 Regular Army man Captain JE Knowles was one of the first Bradford casualties. His loss, amongst many others, is thought to help stimulate the surge in recruitment in the early weeks of the war. The Army Reserve of retired soldiers, numbering about 145,000, were paid a small retainer and trained for 12 days per year. A Special Reserve of men who had had 6 months full time training plus 3 or 4 weeks further training each year, numbered 64,000. There were also 215,000 men in the National Reserve. These men had some military experience but no other reserve obligation. 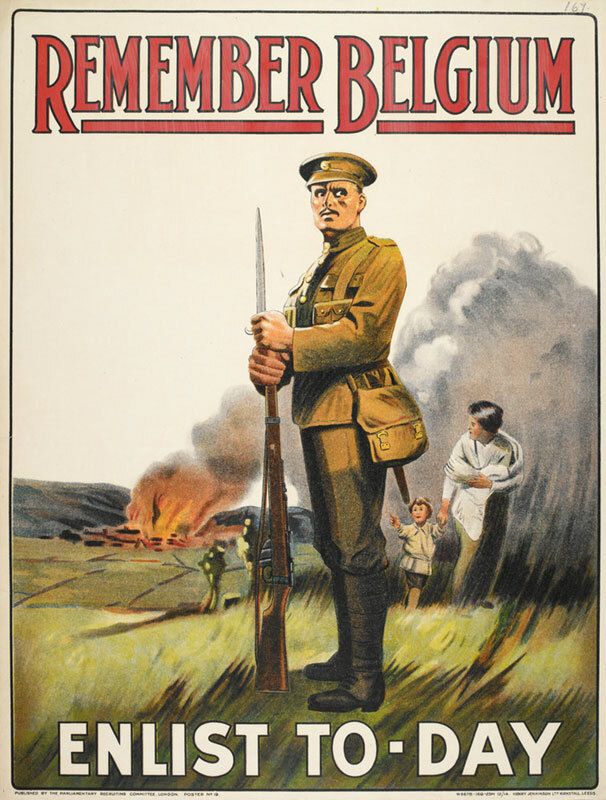 Regulars and Reserves totalled over 700,000 men but only a tiny number were battle-ready. The British Expeditionary Force which crossed to France in August and September 1914 numbered a mere 150,00. No wonder the Kaiser termed it a ‘Contemptible Little Army’. The Royal Navy had a similar system of regulars and reservists but in terms of numbers of ships, our navy was superior to that of Germany. The first task was to blockade the North Sea and the English Channel so that the German navy and its commercial shipping could not function. Lord Kitchener, Secretary of State for War, realised immediately that the combined forces of the army would be nowhere near enough and he made his famous appeal for a New Army to be formed. During the early, anxious weeks of the war – between the retreat from Mons and the Battle of the Marne – there was a surge of volunteers wanting to enlist. 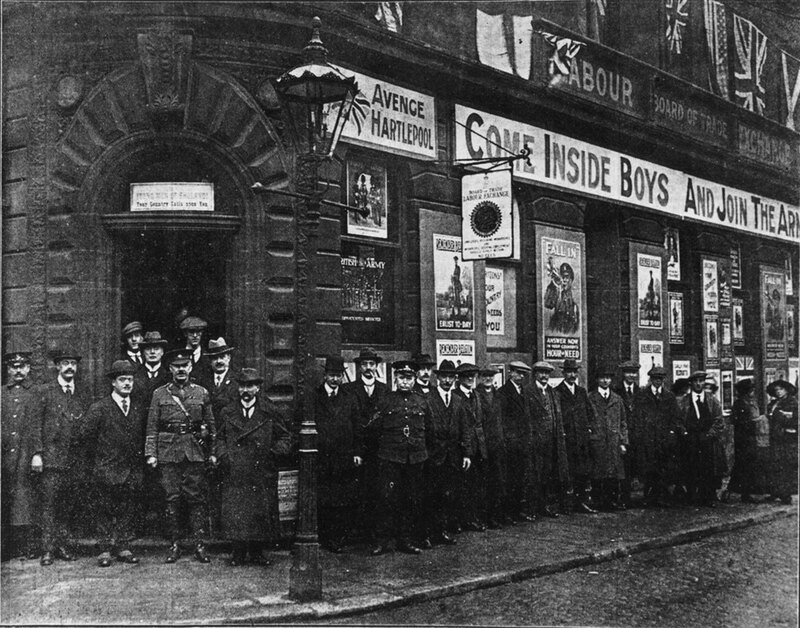 In Bradford the local barracks and the Labour Exchange at the bottom of Leeds Road acted as recruiting centres. 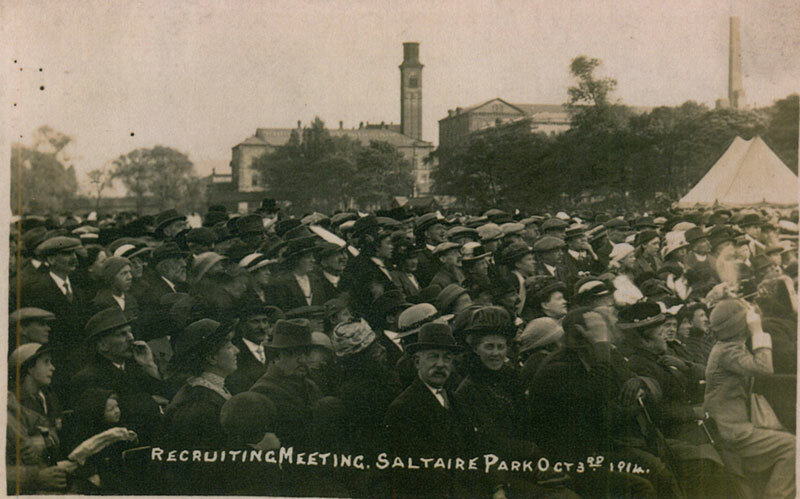 Public recruiting meetings were regularly across the city and men volunteered for regiments far beyond our local ‘West Yorks’ and ‘Duke’s’. 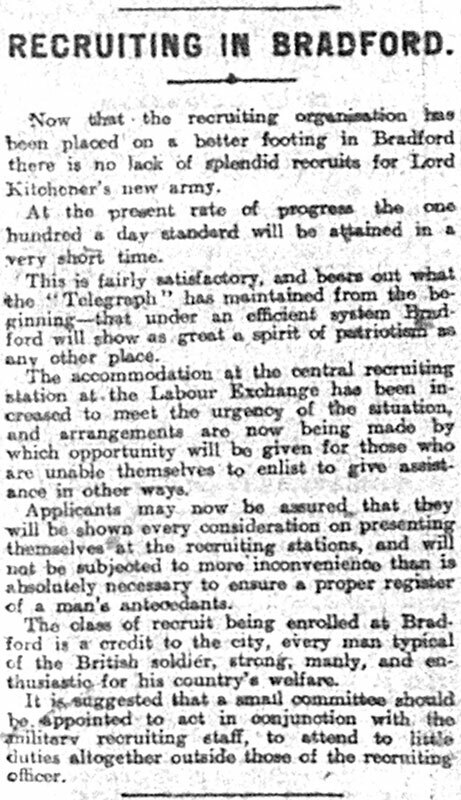 On 28 August the Daily Telegraph announced “No lack of splendid recruits for Lord Kitchener’s Army” but it was still not to be enough!